PRESIDENTIAL PAPERS: It is estimated that between the two major candidates, over $6 billion, 700 million dollars ($6,700,000,000.) was spent on the 2012 presidential campaign. Endless TV ads, mail flyers, robo calls, hats, stickers, t-shirts, posters, pins and pickets. Republicans broke all financial spending records and democrats broke all donation records. This entry was posted on November 12, 2012 by newyorkcityinthewitofaneye. 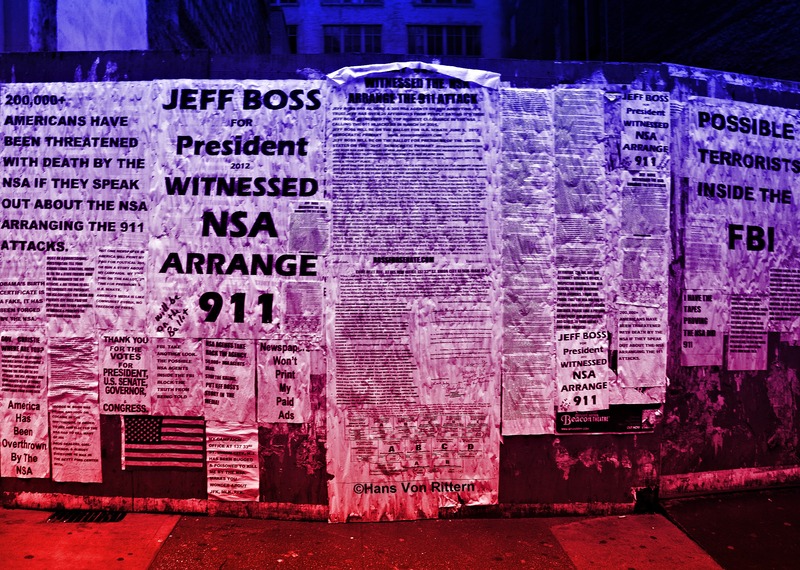 It was filed under DAILY PHOTOS WITH STORIES OF NEW YORK CITY and was tagged with 42, 42nd Street, 9/11, CIA, consipracy theory, Hans Von Rittern, Jeff Boss, JFK, Manhattan, MLK, New York City, NSA, presidential campaign, RFK, third party, Times Square.